Car shopping in the Phoenix area? Look no further than the new vehicle inventory at Land Rover Chandler. Our wide variety of models all offer high-quality Land Rover performance, from the popular Land Rover Range Rover to the fan favorite Range Rover Sport. Explore Range Rover price points before you choose which model is best for you! 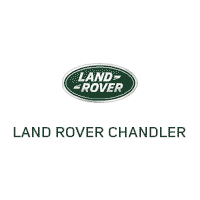 Why Choose Land Rover Chandler? Our sales team is standing by to get you behind the wheel of the model that best suits your driving needs, and we always have rotating vehicle specials to make the car-buying process that much less stressful. When you’re ready to take your Gilbert commute to the next level, stop by Land Rover Chandler to pursue the Land Rover models for sale in Chandler, AZ! You can also browse our used luxury cars for sale if you want an amazing model at an accessible price. Contact us today to learn more about our Range Rover vehicles! We’ll be happy to walk you through popular options the Range Rover and Range Rover Sport.